The Adelo loan process ensures that all customers are educated on each step. 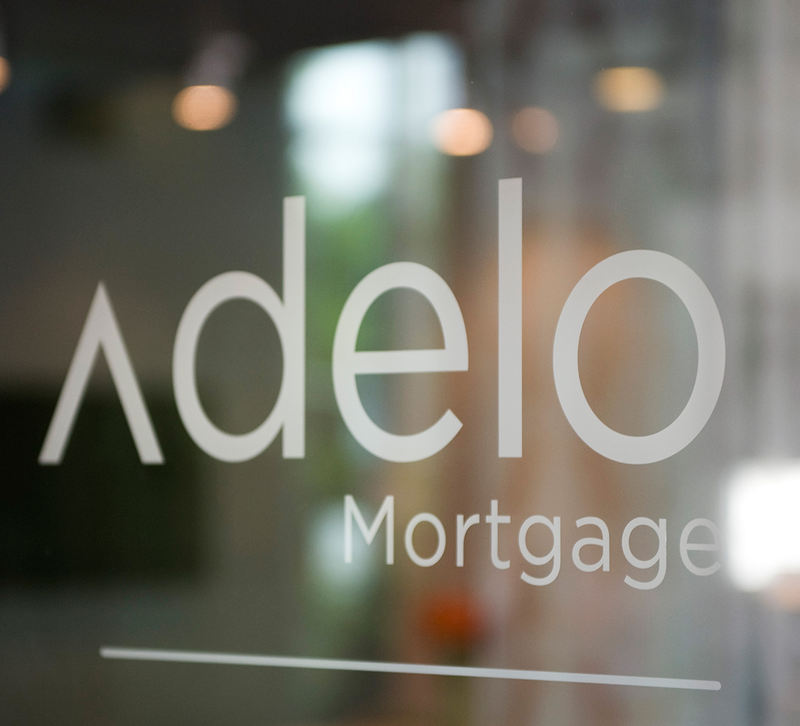 It always starts with an initial consultation with one of the highly qualified Adelo Loan Advisors. Communication is constantly open and important in the process as it ensures that you have the most seamless and transparent experience. Because Adelo funds all of their own loans, we can be flexible with the speed of our process to ensure that your loan closes on time. All of our loans begin with a one-on-one consultation with one of our experienced team members. This is to ensure that we understand your needs and are able to provide you with the best loan products to help you achieve your goals. At this step, we provide detailed assistance in filling out the loan application and regular communication to ensure that you gather all the correct documents needed to begin the loan process. We will also do a thorough analysis of your application and credit profile. The loan pre-approval is when we let you know how big of a loan you can qualify for and which products we feel will best suit your needs. This is based on the information you’ve previously provided and our analysis of your credit profile, etc. This step includes a consultation to discuss what type of loan product is best suited for you. We will provide you with a cost estimate that will show the cost and parameters of your loan including interest rate, loan amount, and monthly mortgage payment, etc. It is during this step that we decide on a loan product and move forward with obtaining underwriting approval for your loan. After our underwriter has given approval for your loan, we will have another consultation and discuss what additional items are needed to satisfy the conditional approval and give you an update as to our timeline moving forward. Once we have fulfilled all the conditional requirements your loan will be put in ‘Clear to Close’ status which means you are nearly to the finish line. At this step, we will prepare all the documents needed for you to review and sign, including the preliminary closing disclosure. We will also answer any questions you may have. Once your final numbers have been audited by our lawyers, the title company, and ourselves, we will send you a final closing disclosure with all your final numbers, as well as your wiring instructions (if applicable) and all the information you need closing. All the paperwork is signed and your loan gets funded. It’s time to get the keys to your new home or complete your refinance of a current mortgage loan. We will be there at your closing in case you have any questions about the documents or anything else. We will keep regular contact with you in the following months just to ensure that you understand what’s expected with the next steps of being a home-owner and that you are satisfied with your experience. Enter the loan amount, interest rate and terms to determine your estimated monthly payment. Calculate the breakdown of the principal and interest payments by month over the course of your loan. We offer a wide variety of of loan programs to meet your financial needs. We work with the leading lenders in the industry to provide innovative products and programs, coupled with aggressive market pricing. A fixed-rate mortgage (FRM), often referred to as a “plain vanilla” mortgage loan, is an fully amortizing mortgage loan where the interest rate on the note remains the same through the term of the loan, as opposed to loans where the interest rate may adjust or “float”. As a result, payment amounts and the duration of the loan are fixed. In the United States, a jumbo mortgage is a mortgage loan in an amount above conventional conforming loan limits. This standard is set by the two government-sponsored enterprises Fannie Mae and Freddie Mac, and sets the limit on the maximum value of any individual mortgage they will purchase from a lender. Fannie Mae (FNMA) and Freddie Mac (FHLMC) are large agencies that purchase the bulk of U.S. residential mortgages from banks and other lenders, allowing them to free up liquidity to lend more mortgages. A variable-rate mortgage, adjustable-rate mortgage (ARM), or tracker mortgage is a mortgage loan with the interest rate on the note periodically adjusted based on an index which reflects the cost to the lender of borrowing on the credit markets. The loan may be offered at the lender’s standard variable rate/base rate. There may be a direct and legally defined link to the underlying index, but where the lender offers no specific link to the underlying market of index they can choose to increase or decrease at their discretion. A home equity loan (sometimes abbreviated HEL) is a type of loan in which the borrower uses the equity in their home as collateral. These loans are useful to finance major expenses such as home repairs, medical bills or college education. A home equity loan creates a lien against the borrower’s house, and reduces actual home equity. Most home equity loans require good to excellent credit history, and reasonable loan-to-value and combined loan-to-value ratios. Home equity loans come in two types: closed end and open end. Both are usually referred to as second mortgages. A mortgage loan is a loan secured by real property through the use of a mortgage note which evidences the existence of the loan and the encumbrance of that realty through the granting of a mortgage which secures the loan. However, the word mortgage alone, in everyday usage, is most often used to mean mortgage loan. A home buyer or builder can obtain financing (a loan) either to purchase or secure against the property from a financial institution, such as a bank, either directly or indirectly through intermediaries. In the broadest sense of the term, a Construction Loan is any loan where the proceeds are used to finance construction of some kind. In the United States Financial Services industry however, the term is used to describe a genre of loans designed for construction and containing features such as interest reserves, where repayment ability may be based on something that can only occur when the project is built. Thus the defining features of these loans are special monitoring and guidelines above normal loan guidelines to ensure that the project is completed so that repayment can begin to take place. An FHA insured loan is a Federal Housing Administration mortgage insurance backed mortgage loan which is provided by a FHA-approved lender. FHA insured loans are a type of federal assistance and have historically allowed lower income Americans to borrow money for the purchase of a home that they would not otherwise be able to afford. To obtain mortgage insurance from the Federal Housing Administration, a mortgage insurance premium (MIP) equal to a percentage of the loan amount at closing is required, and is normally financed by the lender and paid to FHA on the borrower’s behalf. A second mortgage typically refers to a secured loan (or mortgage) that is subordinate to another loan against the same property. In real estate, a property can have multiple loans or liens against it. The loan which is registered with county or city registry first is called the first mortgage or first position trust deed. The lien registered second is called the second mortgage. A property can have a third or even fourth mortgage, but those are rarer. The term length of a second mortgage varies. Terms can last up to 30 years on second mortgages. All the links, documents and answers you’ll need as you work your way through the loan process. Easily load your loan documents through our secure and convenient portal. All the documents you need during your loan process. Convenient and in one place. Answers to our most frequently asked questions from clients and real estate agents alike.